Hello, newby here proud 2018 CVO Streetglide (dark alloy/black denim) owner purchased last year in July just found out about the site was recommended to join by JCZ. Welcome to the board Glenn! 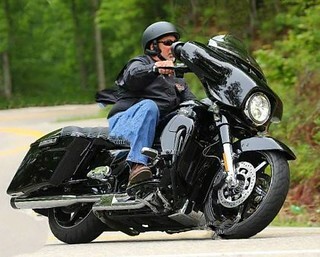 A CVO and a Grand Design Momentum.....and endless roads to where ever....doesn't get much better buddy! If you haven't looked at the B&W Biker Bar, might want to check it out. Several threads on this forum about it. Welcome from NE Ohio, nice bike! Welcome from a fellow Texan. Welcome to the forum from Sydney Australia. Enjoy the ride.